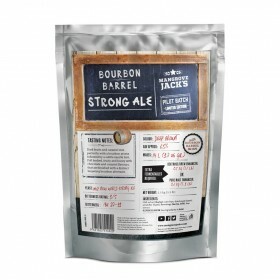 Dark fruits and caramel mix perfectly with a bourbon aroma followed by a subtle vanilla hint. 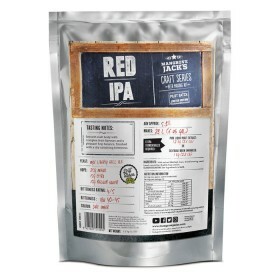 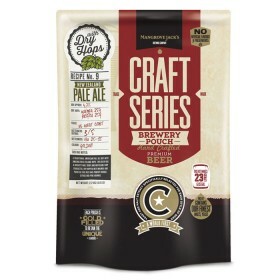 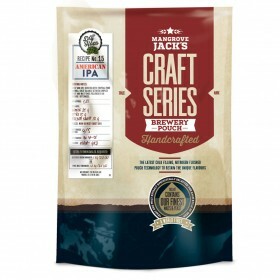 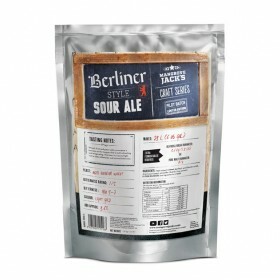 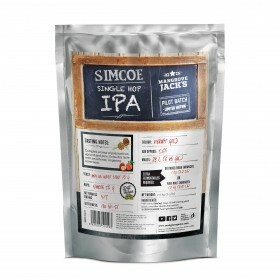 Full b..
Mangrove Jack's Craft Series American IPA Beer Kit + dry hops - 2.5kg Crisp and dry, bursting wit..
Mangrove Jack's Craft Series Bavarian Wheat Pouch - 2.2kg ABV approx: 4.7% Bitterness Rating: 1/..
Earthy hop aromas with spicy peppery notes. 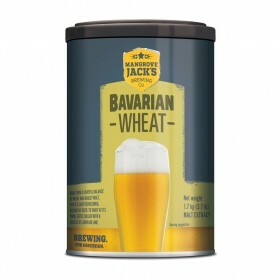 Rich and creamy with a medium to full body, the underlyi.. 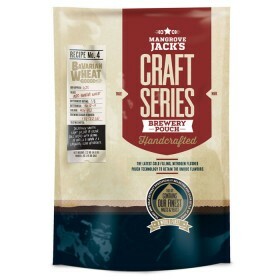 Wheat, fruit and grass notes accompany a tartness on the tongue, that is both refreshing and invigor..
Fruity with dark berry notes and hints of caramel. 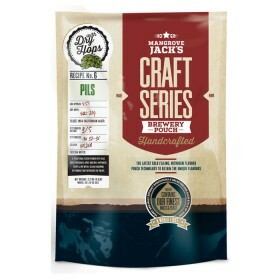 Goldings offers a muted earthy aroma to this full..
Mangrove Jack's Craft Series Pils Beer Kit with dry hops - 2.5kg A traditional Czech Pilsner with.. 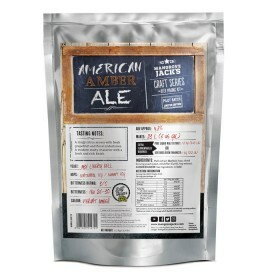 Inspired by Brew Dog’s Elvis Juice Citrus IPA, this contains great citrus hop notes combined with gr..
Mangrove Jack's Craft Series Red IPA Beer Kit (Limited Edition) Smooth malt body with complex fru..
Mangrove Jack's CS American Amber Ale Beer Kit - 2.2kg (LE A zingy citrus aroma with fresh grapef..
An American pale ale with a nod to the founders of craft brewing. This beer has a full malt characte..
A crisp and golden German helles with a twist. 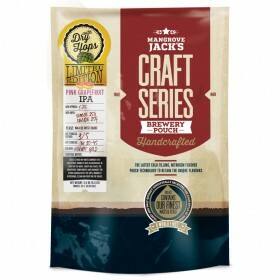 Light and malty with hints of vanilla bean and red fr..
Mangrove Jack's CS NZ Pale Ale 2.2kgA traditional American pale ale but with amazing New Zealand hop..
Complex aroma of passionfruit, apricot and pine. 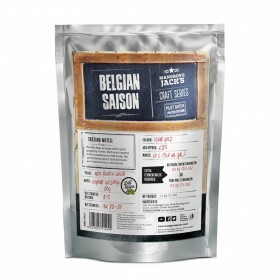 Extra dry taste with an intense, lingering bitterne..
Made from a careful balance of wheat and barley malt, this is a crisp refreshing, distinctive beer, ..